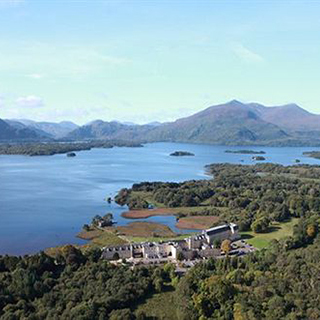 Nestling on the lake of Lough Lein, Killarney’s lower lake, The Lake Hotel Killarney enjoys the most magnificent setting with a unique backdrop of the mountains, islands and the 12th century McCarthy Mór castle ruins. With 131 rooms, the 4* Lake Hotel has been welcoming guests since 1820, so a long tradition of warm Irish hospitality awaits you. 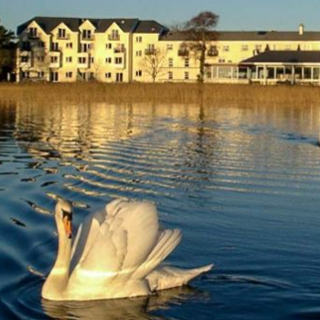 Awaken for breakfast in the The Castlelough Restaurant or unwind in the Lakeside Bistro. Enjoy an aperitif in the Devil’s Punch Bowl Bar before tasting the finest Irish food and reflecting on the abundance of natural beauty of Kerry. 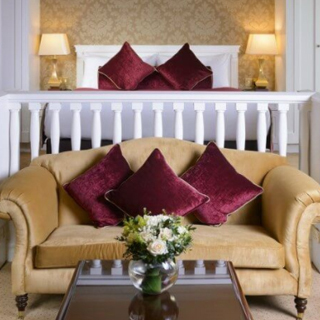 You can also avail of the hotel's amenities including a outdoor hot tub, spa and gym facilities and complimentary parking. Use this voucher on AllGifts.ie to order a gift card for The Lake Hotel Killarney, and then make a booking directly with the hotel. Or you can swap this voucher for any other gift or voucher listed on AllGifts.ie. 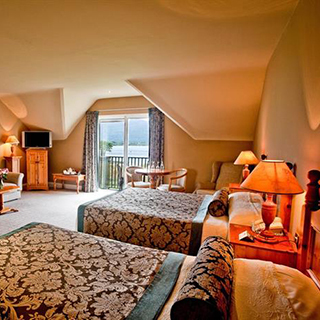 Lake Hotel Killarney gift cards are posted out free of charge once ordered. Open year round, subject to availability on booking. Take the N22 to Killarney. On reaching Killarney follow signs for Muckross Road N71, the hotel is on the right hand side approximately 2km from Killarney town centre. 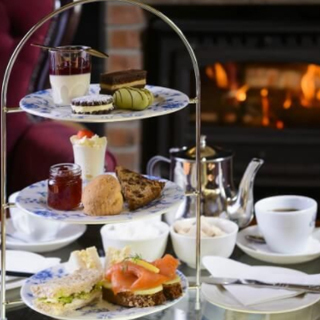 Take the N22 towards Killarney and follow signs for the Muckross Road – N71, the hotel is on the right hand side of the road approximately 2km from the town centre. Take the N18 to Limerick, take the N21 to Castleisland, then take the N22 to Killarney and follow the signs for the Muckross Road N71 as above. services go to www.buseireann.ie . We can arrange taxis from the bus station for our guests. There are several car hire companies based at Kerry Airport, www.kerryairport.ie. We are happy to provide their contact details to our guests and to assist with car rental bookings. 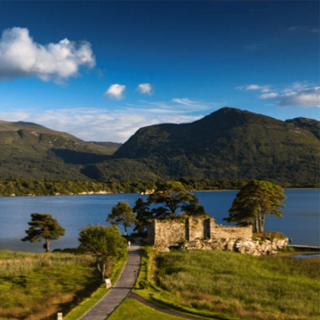 Nestling on the lake of Lough Lein, Killarney’s lower lake, The Lake Hotel Killarney enjoys the most magnificent setting with the truly unique backdrop of the mountains, islands and the 12th century McCarthy Mór castle ruins. 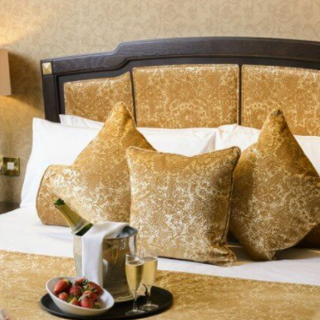 Gift vouchers for The Lake Hotel Killarney are posted out free of charge or can be collected at the hotel. Please allow up to 10 days for delivery of your gift card.